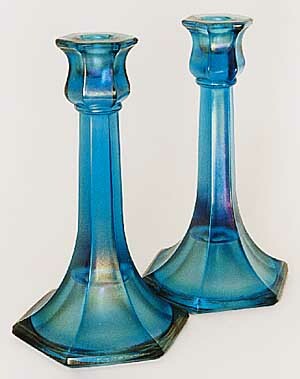 These pressed candlesticks are found in two sizes. The Six Five Seven is 8 1/2 inches tall; the Six Five Eight about 7 inches tall. Both have hexagonal bases. Not all items will be iridized.